A Wisbech man will be sentenced for his role in a scam which saw victims conned out of millions of pounds. Ryan Weston, of Clarkson Avenue, Wisbech, is one of eight people convicted of running a number of ‘boiler room’ frauds which saw elderly and vulnerable people conned. A ‘boiler room’ fraud sees criminals make cold calls or emails to people pretending to be from an established and legitimate company, persuading them to invest in what are in fact completely worthless or non-existent stocks. Often high pressured sales tactics are used, which is why they’re described as ‘boiler room’. Following the conclusion of a trial at Southwark Crown Court today (8 April) – Lucy Richardson, 25, of Crofton Avenue, Orpington, Kent, Mark Bowman, 55, of Princes Gardens, Whitley Bay, Mandy Cross, 59, also of Clifton Close, Oprington, and Muhammad Tanveer, 30, of South Street, Romford, were found guilty of money laundering offences. 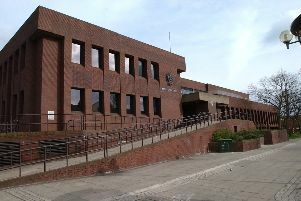 Shaun Cross, 30, of Clifton Close, Orpington, and Ryan Weston, 27, of Clarkson Avenue, Wisbech, pleaded guilty to money laundering. Sentencing will take place on 26 April.